Vista has a lot of features built into it, and one of these is the ability for it to monitor itself and identify any problems which might be causing you problems. If something really major is happening, it will tend to warn you (for example, if you’re using the wrong driver for a particular device). However, things happen that can degrade your system’s performance, and it won’t necessarily let you know straight away. Sometimes it’s a bit like trying to figure out in which of your golf bags you’ve left your keys; looking through each one of them can be painful. Here’s what you can do to find out what’s going on. This screen gives you a lot of useful information about your system. For example, if you look at your performance scores, you’ll be able to identify if any of your hardware is not performaing well. For example, if your graphics card isn’t up to scratch, you’ll have a very low score here. But the degradation reported above happened gradually, so it’s highly unlikely to be caused by a hardware fault. So, let’s click on Advanced Tools. 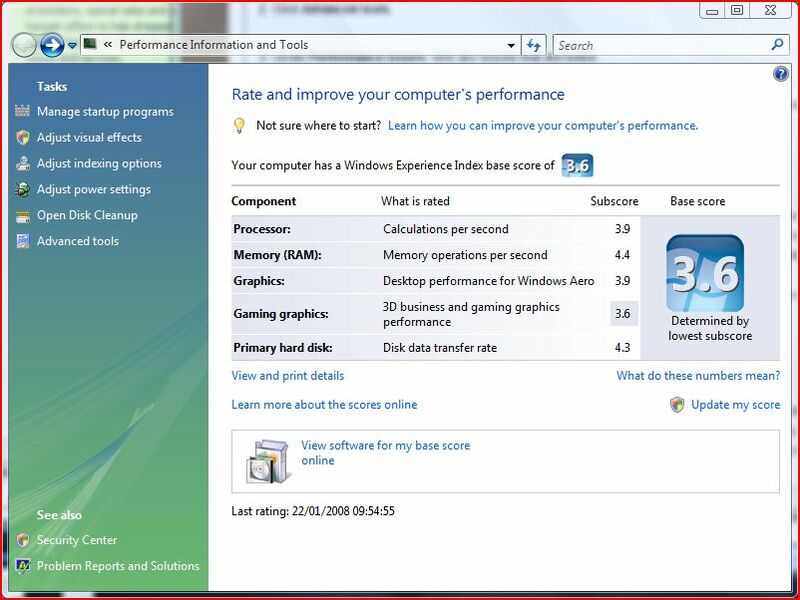 Here is where Vista shows us what it thinks can be improved on your computer’s performance. 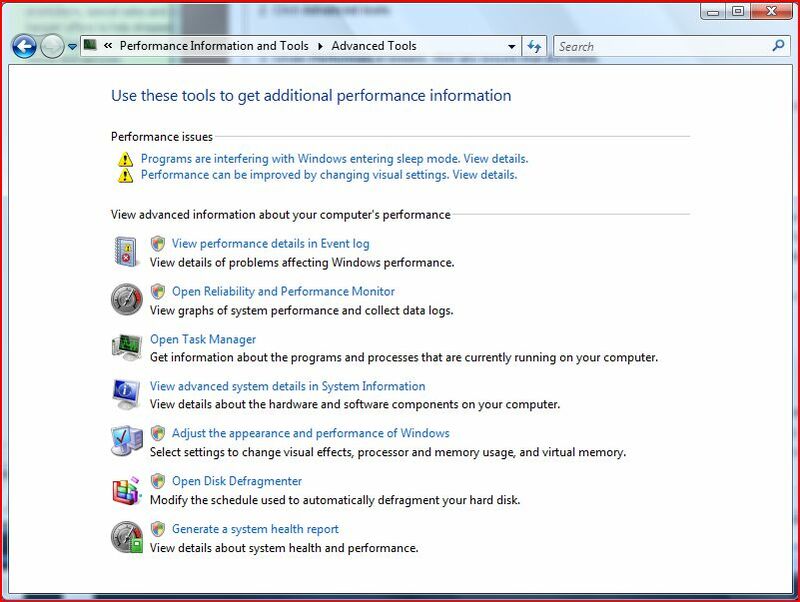 Under performance issues you’ll see one or more different problems that Vista thinks you might be having. Click on each in turn and read through the descriptions. Unfortunately from here on, you’re on your own. Problems can range from applications not performaing well, maintenance needing to be run and a variety of other issues. However, you’ll also notice a number of tools in the bottom half of the window. There are some interesting tools you can use to monitor the state of your system there, so make sure to check them out. ← Previous Previous post: How do I display RSS headlines from another blog? Next → Next post: Why do some WordPress plugins not work with some themes?